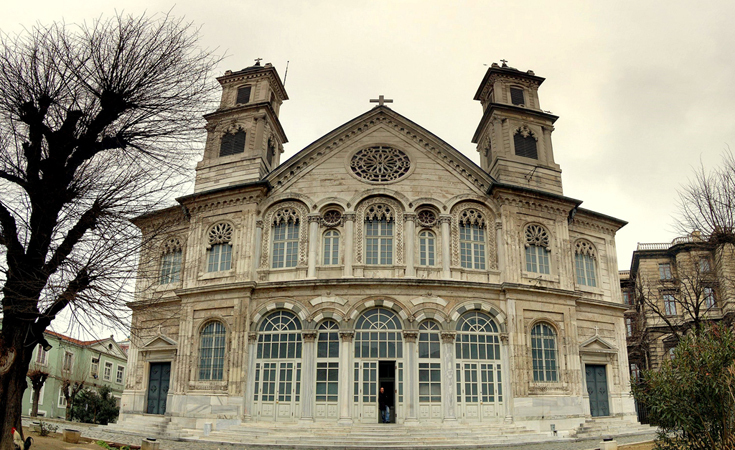 (Turkish: Aya Triada Rum Katolik Kilisesi), whose dome rises above Istiklal Caddesi near its conjuncture with Taksim Square, is Istanbul’s largest Greek Catholic church. Still in use by Greek Catholics today, the church’s construction began in 1876 and it was opened to worshipers in 1880. 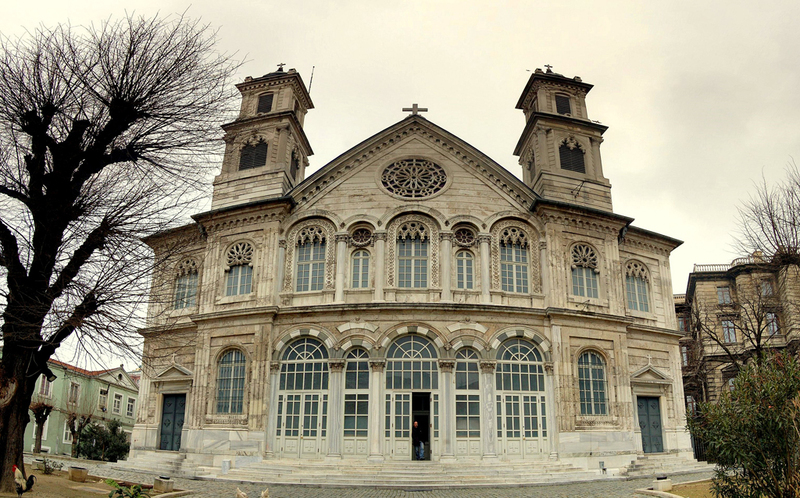 The Holy Trinity Greek Catholic Church (Turkish: Aya Triada Rum Katolik Kilisesi), whose dome rises above Istiklal Caddesi near its conjuncture with Taksim Square, is Istanbul’s largest Greek Catholic church. Still in use by Greek Catholics today, the church’s construction began in 1876 and it was opened to worshipers in 1880. With a striking, neo-baroque architectural style, the church’s interior is full of mosaics and murals. Buildings used for social services and a water spring thought to be sacred are found in its gardens. Damaged by the rioting that took place in the city between September 6-7, 1955, the church remained closed for many years. After a two-year restoration, the church was reopened in 2003.